hello @hanniey Welcome to the thread and to the forum overall if you're new! Thanks for sharing your thoughts, and I for one will do my best to be L's fan in everything now that he's working with SHS. I think we're all quite open-minded about every actor/actress SHS gets to work with here. I did and still have objection to a particular character in one of her previous works, but nothing personal against any actors. I know that some of us may have seemed like we got carried away in the 'One and Only Love' thread (shall we shorten it as OAOL or OOL or DOL for 'Dan, Only Love'??) with speculations or wishing out loud who we want as the male lead in her next role, and yes, that's partly (mainly?) what we do here in this thread, spazzing out over male leads - but I hope you feel free to express yourself in anyway you feel here, in support of any actors or actresses who work with SHS, and also post in the drama thread since that one has lacked any input from L's fandom (which I understand to be pretty vast). One thing L and SHS seem to have in common, they don't update their Instagram much, do they? Top of new page - like her profile?? "Our school uniform was a weighing hanbok, so when I was in high school, I wanted to wear a bachelor-style uniform like other friends, and I decided to go to" School 2013. "(Laughter)"
"I went to the audition alone without my agency, and I was able to appear in 'School 2013'. I got a phone call with my friends at the café, and I just danced and I did not even know it was embarrassing. I'm so delighted"
"The shooting was tough but I was so happy". "There was a camera in front of me, the director was giving a cue, and the staff fixed the makeup. It's amazing that the scene I always dream of was unfolded before my eyes." Comparing above photos (2013) and below clips (2019), wow..this is the real definition of "anti-aging". Old photos from Lovcat Bijoux 1st fan signing. This below link got lots of beautiful & high quality photos from a fan. But due to copyright, I don't dare to post it hear. Oh, oh, oh my. This from her fanclub on the set of Innocent (movie 결백), apparently, but boy does she remind me of some of my actual middle school friends the way her hair's done. And her mom (Bae Jong-Ok) really looks like moms I know from countryside, tanned and earthy. I had to do a double take on that one. I thought it was some who dug up her school pics. This must mean the shoot is wrapped up or close to it!?? This below link got lots of beautiful & high quality photos from a fan. Oh my @immorethant this person had the best high quality pics. Thank YOU, you wanderer of mother earth looking under every nook and cranny for SHS stories and artifacts. Bless you! Because you posted those copyright photo first already, at least I got my co-defendant now . And I want to have this 'SHS shrine' for myself too, so I can worship my goddess everyday. So envious and admire of this real fan, I wish I were in Korea so that I can get those collections and her autograph too. Ye she really likes showing off all the times she met SHS in person. Good for her I say. We need more fans like her. Wow the silence is deafening here. And I don't like one bit that she got pushed back to page 4 already. Remembering a timeless scene that I can watch again and again still. Stay warm, everyone, remembering that she's probably hard at work doing the Innocent movie shoot in the cold every day! Oori baby Shin Hye-Sun fighting!! That's legendary hand cream scene. Yeon Tae's imagination is so wild and hillarious. Time for commercial break . It's a pity that SHS endorsement with it MICHAA ended last year. Hope she will have new fashion endorsement soon. and you wait me there in workplaces..
buy i have no phone yet,,, if wait for relpy..
i just renting some coffe shop. All Shin Hye Sun's works (credit to owner) . I think it's quite a complete list so far. The date DEC 3, 2012 marked on the calendar was the date of her debut which the 1st episode of 'School 2013' was aired. Seo Ji-An 을 거예요 Korean language lesson. Probably the next lesson will be "네가 뭔데?" Anyone else trying the SHS Diet? Down 17 kg in 2 weeks! Used to have insomnia- but now sleep at least 22 hours a day! @kokkuri33 17 kg !! Wow, how did you do that ? Didn't you feel hungry eating only 1 meal a day ? Old photos for a quiet day. 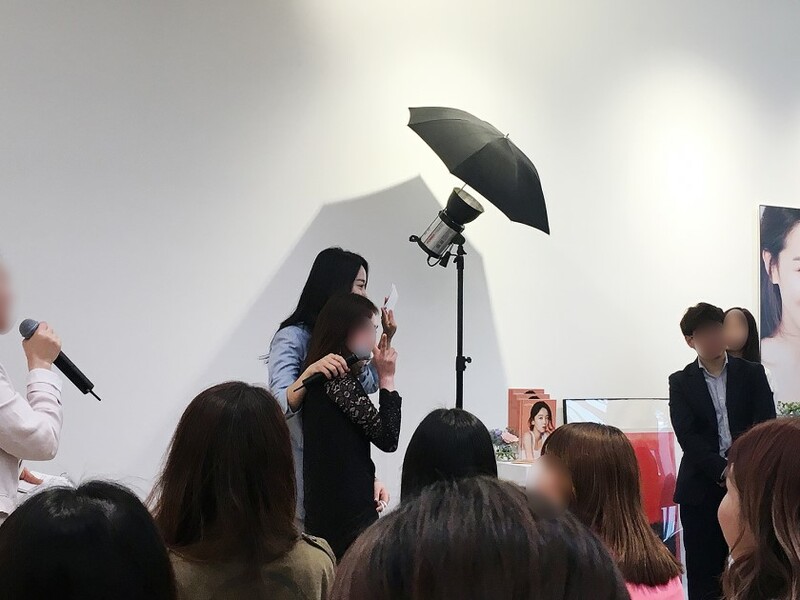 Shin Hye Sun's AQUTOP make-up class. Look how tall she is. Seo-Ri's boss is pursuing Kim Woo Jin in a Saturday-Sunday drama.